Tuesday 5 February is Safer Internet Day. 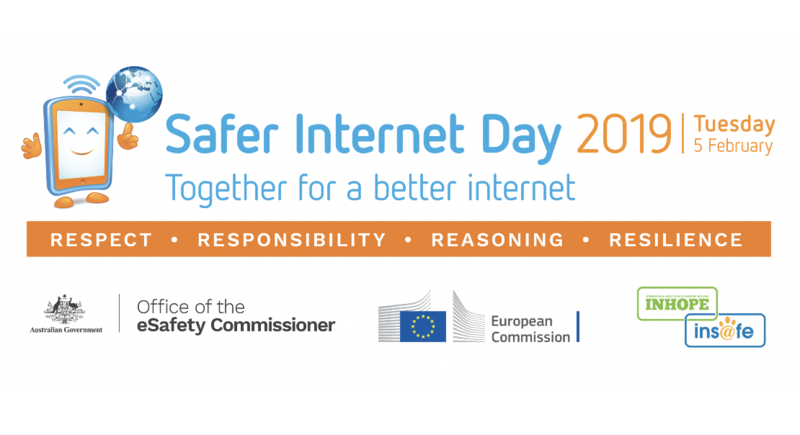 Let’s all join the Office of the eSafety Commissioner to support the theme “Together for a Safer Internet”. A great way to start is by getting to know the four Rs. Think about how you can embrace the four Rs and how you can share them with the children and young people in your life. 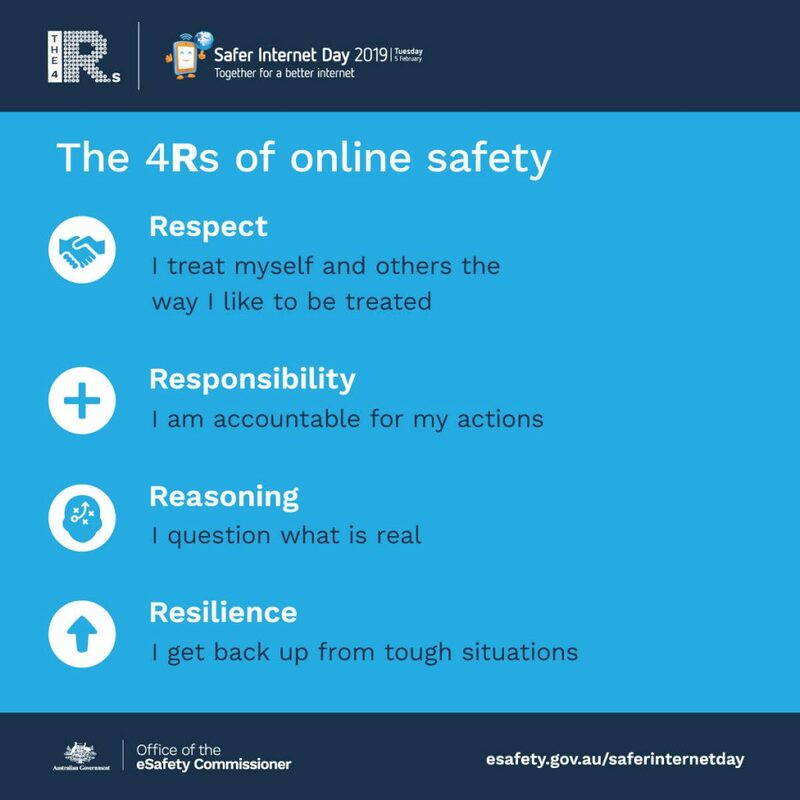 For more information, visit esafety.gov.au/saferinternetday.